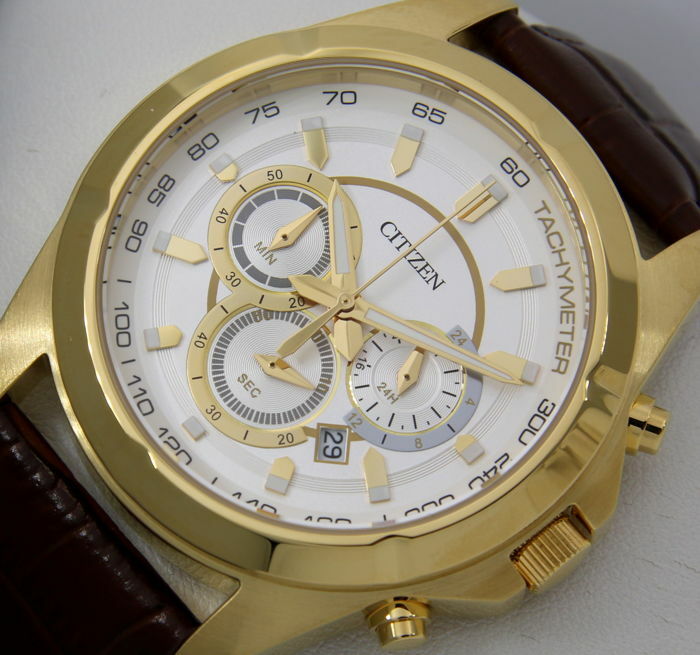 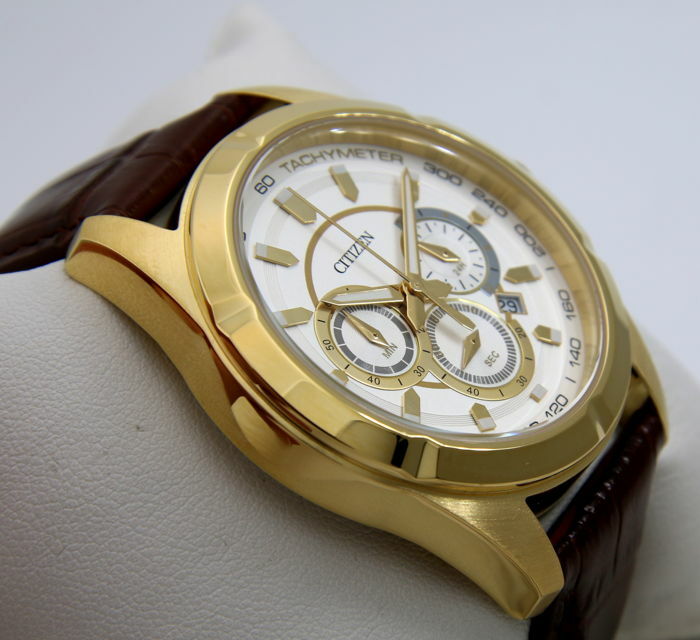 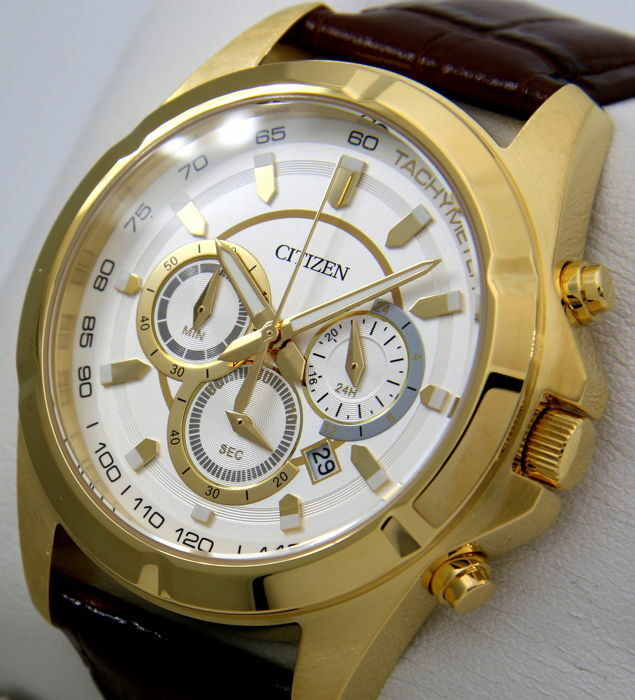 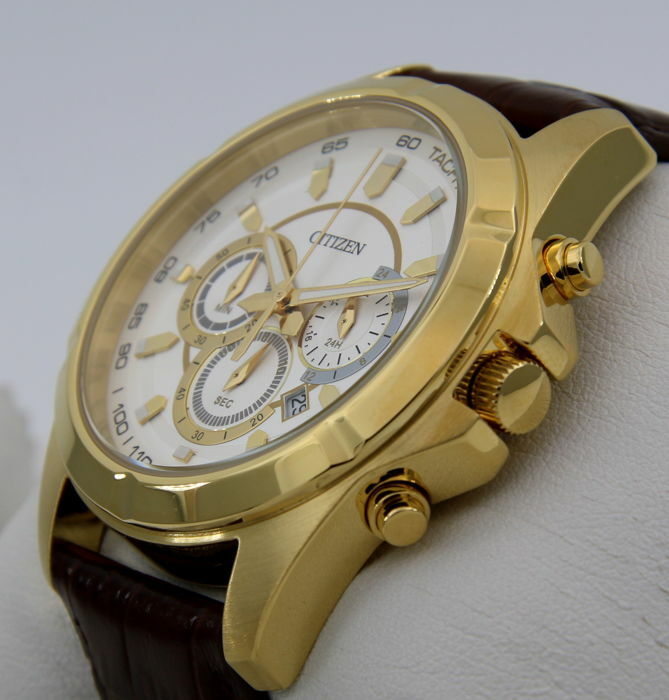 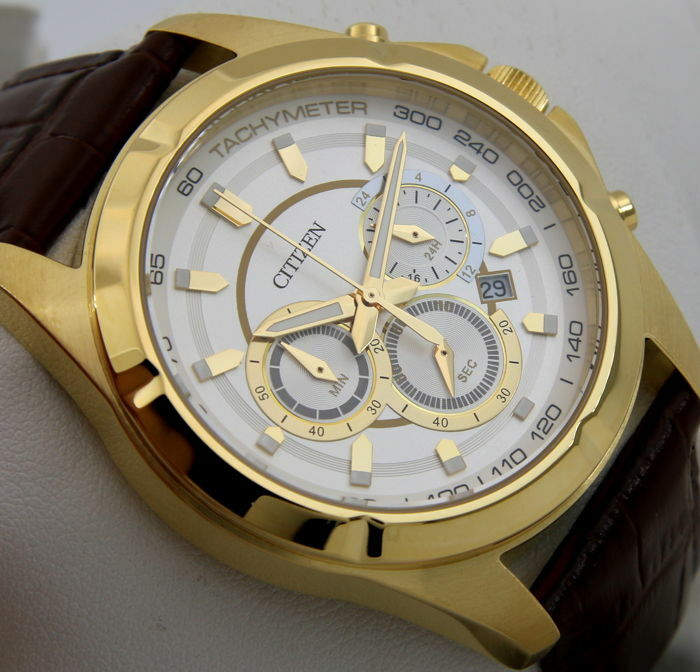 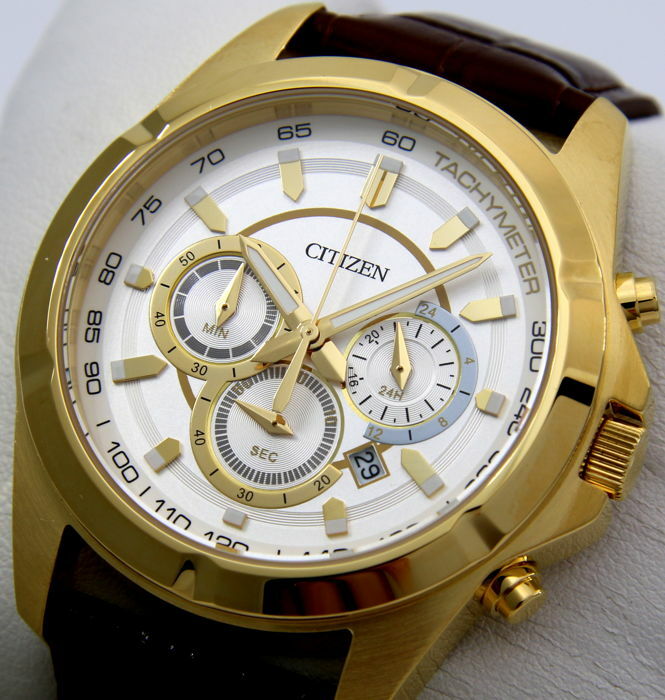 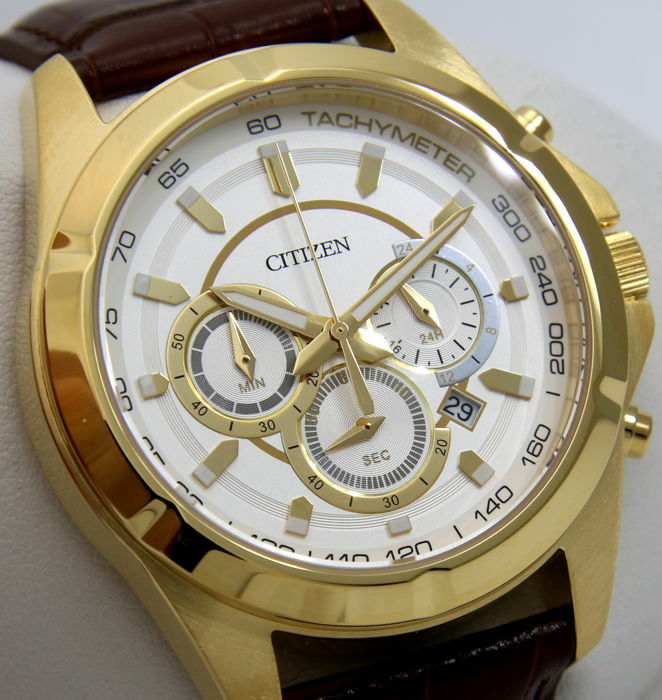 Beautiful Citizen "Leather Gold" Chronograph WR 50M. 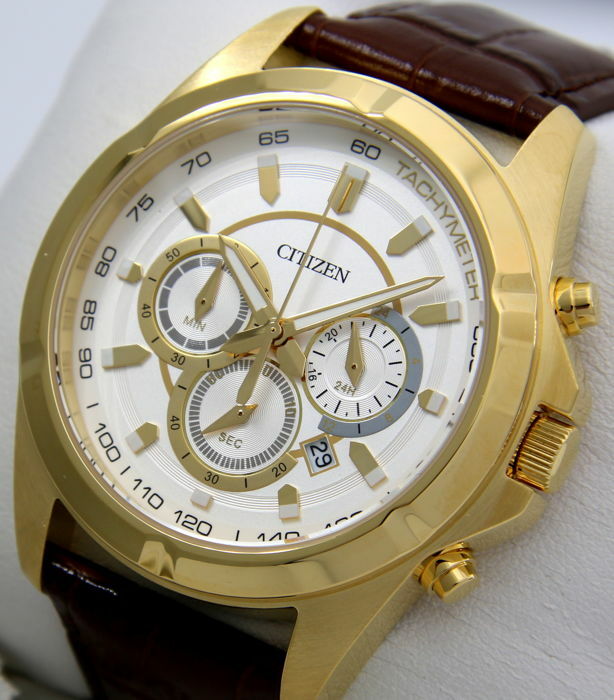 Chronograph up to 60 minutes. 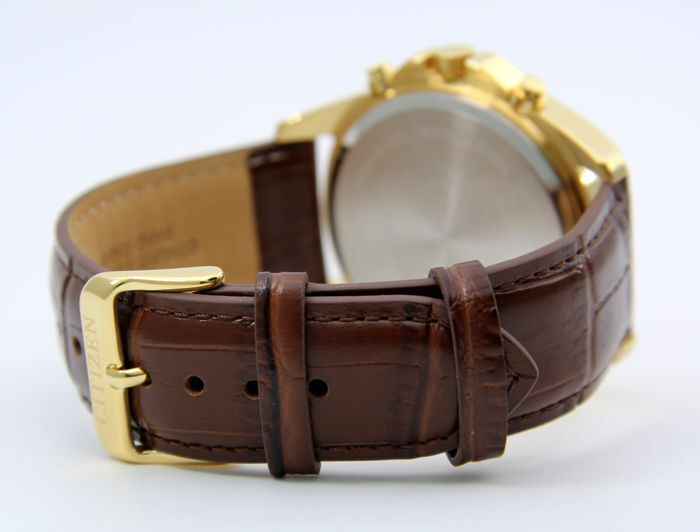 Brown leather strap (width 22 mm). 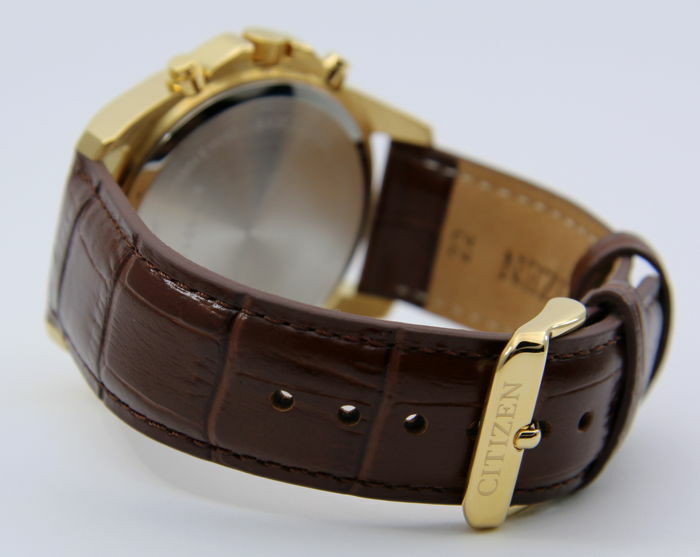 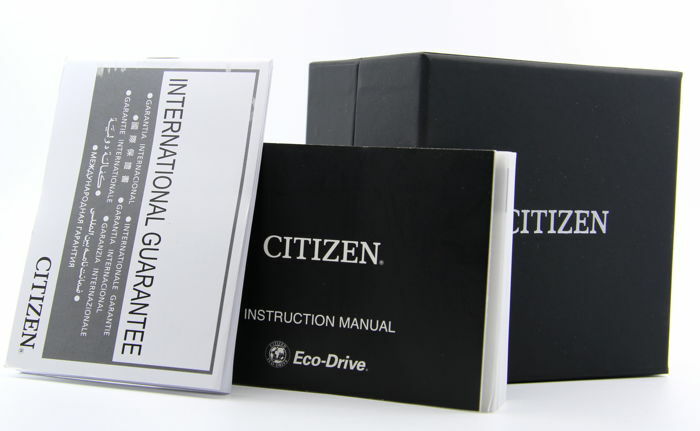 The case measures 42 mm in diameter (excluding crown) and 11.5 mm in thickness. 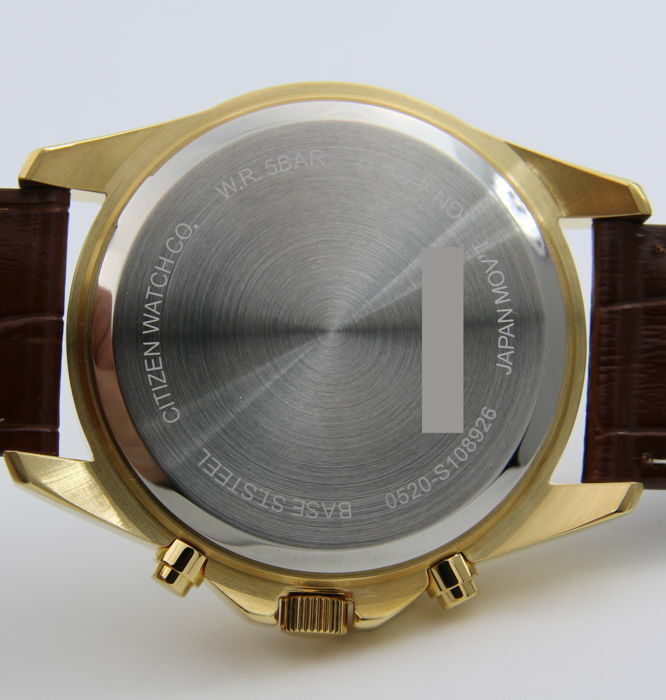 The length of the watch is approx. 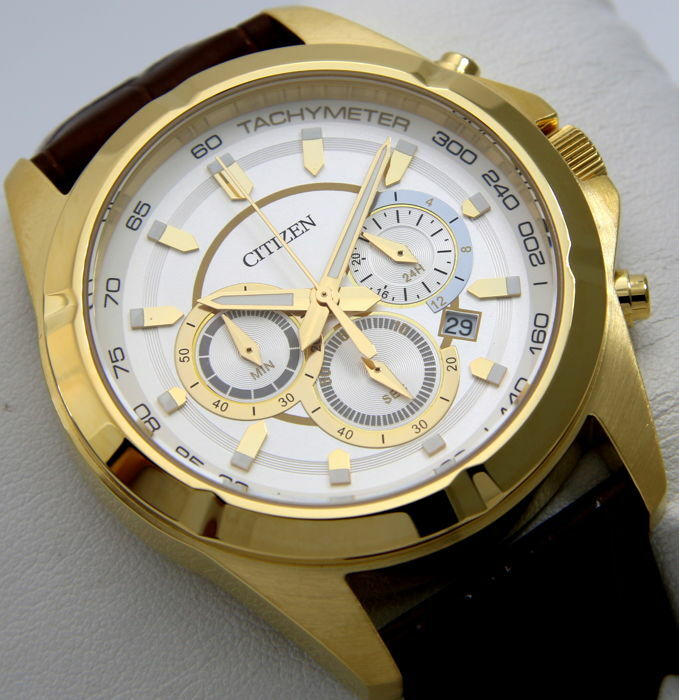 25 cm.